I have to admit that pasta dishes are some of my favorites. They are so delicious and statisfyng, but if you work it right they can be pretty easy to make. This is one such dish! There is not too much chopping or prep work to do, but the reward is a dish with great flavor and a variety of textures. It’s so pretty too! Definitely good enough to to serve guests and it would be easy to double and make a large batch. Tip: I love artichoke hearts!!! They are a great ingredient to add flavor without adding a lot of fat and calories. The type of artichoke hearts you use matters though! The jarred version are usually packed in oil, so these are not the best low-fat choice. The canned version are usually packed in water, so they are low-fat, but I have found the texture of these to be rather tough and woody. In my humble opinion, frozen artichoke hearts are the way to go!!! They still have that wonderful soft, rich texture that you get from fresh cooked artichokes, but they are not packed in oil, so you get the flavor and texture without the added fat or work of cooking and breaking down fresh artichokes. Preheat oven to 350 degrees. Put your pasta on to boil and while this is cooking put your ground turkey in a skillet to brown. When meat is almost cooked through, add your onions and bell peppers and continue to cook until meat is cooked and vegetables have softened. 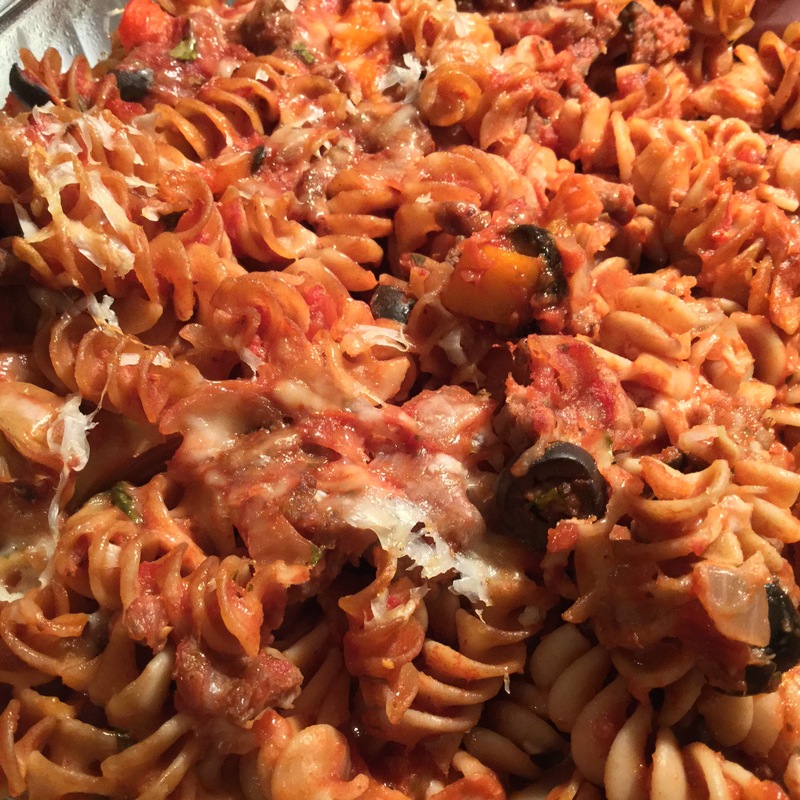 In a large pot or bowl, combine pasta, meat with veggies and all othe ingredients except Parmesan cheese. Stir well to mix. 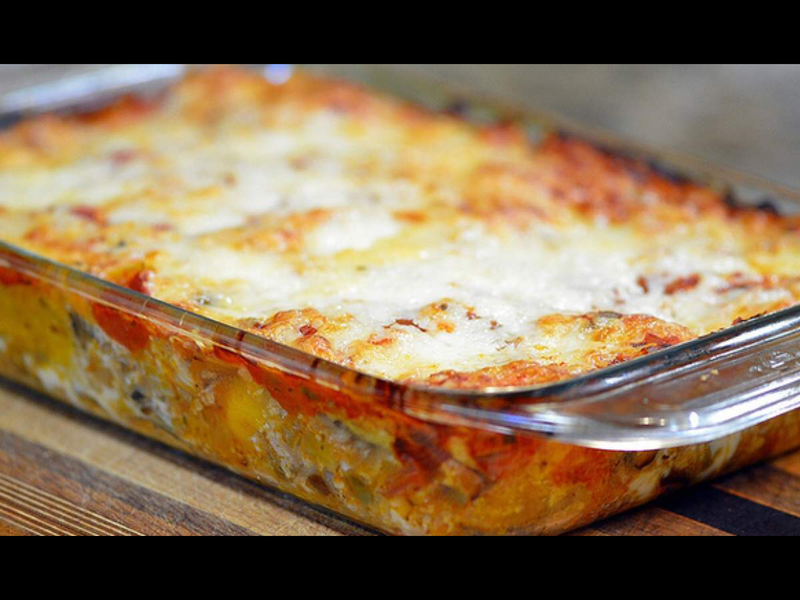 Spray a baking pan with non stick pray and transfer pasta/meat mixture to that pan. Top with Parmesan cheese and bake for 30 minutes. Voila! You have a beautful and delicious dinner on your hands! Mexican Melt Over Rice – Simply Delectable!!! This recipe looks so simple and complete delectable! My family loves all foods Mexican, so this one is a no brainer! Gotta try it! 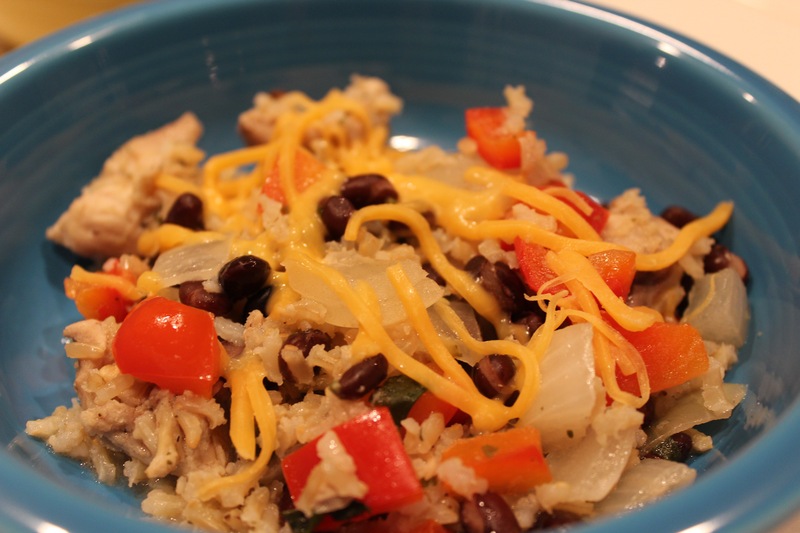 Ranch Chicken with Beans and Rice – A Super Easy, Delicious Dinner! Who doesn’t love ranch dressing?!? There is just something about the combination of spices in that dressing that is delicious. So if you love these flavors you really should try cooking with the ranch dressing mix packets. You get the spices without the creamy dressing, so you can get the wonderful flavor and still keep the fat and calories down on your dishes. I used this tasty ingredient the other night when I made Ranch Chicken with Beans and Rice. My family devoured this dish! While the ranch mix packet provided its wonderful seasoning, it wasn’t overpowering. It added just the right amount of flavor while still letting the fresh ingredients shine through. I did get the inspiration for this dish from a Hidden Valley Ranch TV commercial, but they did not share exact ingredients and measurements. I took their basic suggestion and expanded upon it and was very happy with how this turned out. I would definitely make this dish again! It was both easy to make and delicious! Preheat oven to 375 degrees. Spray casserole dish with non-stick spray. Mix all ingredients together and then spread in casserole dish. Cover dish with foil. Bake for 45 minutes stirring once or twice to make sure the rice is getting moistened. Optional: Top with shredded cheese. I used a little fat free shredded cheddar. After a day or two of eating the leftovers as is, I start getting a little bored with them, but I hate throwing food out. It’s time to get creative!!! One of the things I like to make with our leftovers is what I call Thanksgiving Lasagna. 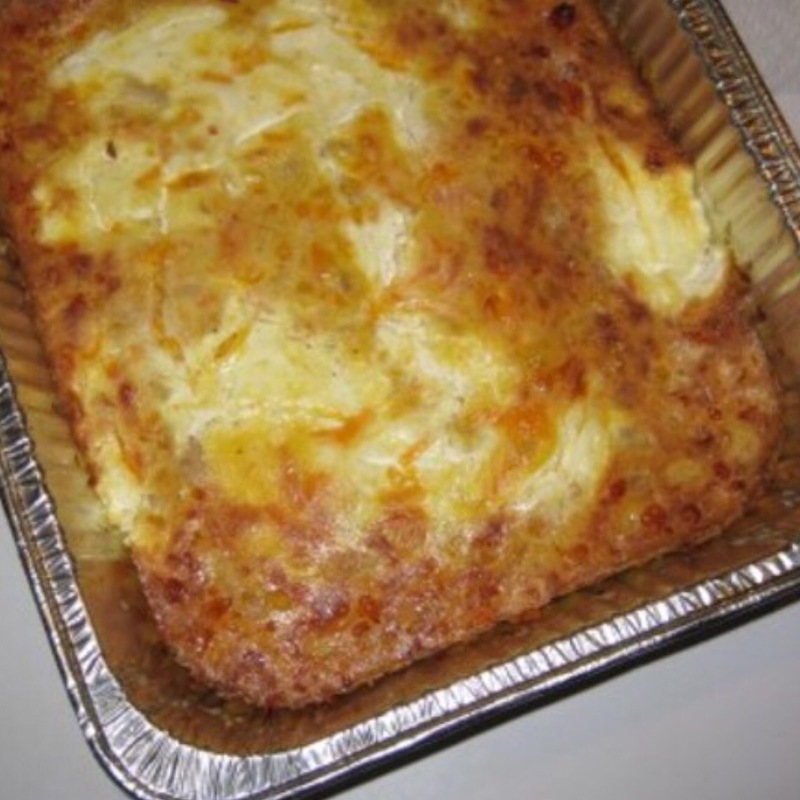 Now it’s not “lasagna” as we usually know it and there isn’t actually any pasta involved, but it has that layered effect that you get with lasagna. You can really do the layers any way you choose, but my one piece of advice would be to be sure you scatter the more liquid ingredients, like cranberry sauce and gravy, throughout the lasagna, so they can help keep the other ingredients moist. Spray a baking/lasagna pan with non-stick spray. Preheat oven to 350 degrees. Layer ingredients as suggested below. If it seems a little dry, add some of that turkey stock that you made or some chicken broth. 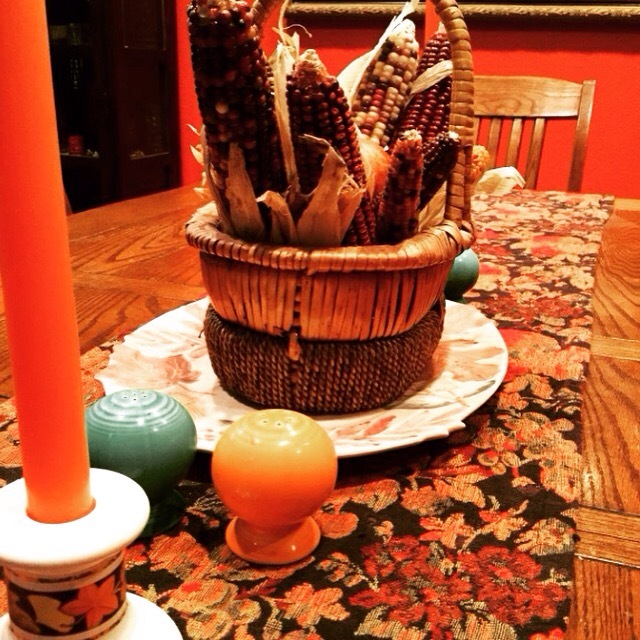 • Vegetables – Green bean casserole or carrots would be good! Bake until cheese is melted and lasagna is heated through. Timing will depend on the size of your pan. Probably about 30-45 minutes. Another layering option: Layer a bit of leftovers between two slices of bread to make a delish sandwich. You can even butter the bread on the outside and put in a Panini press or waffle iron to crisp it up and make it more compact!